Crystal's Spa"When you walk in the door and you have your music and you have people who say hello to you, and you feel like it's a friendly place and everybody knows your name, that feels good, that feels homey, that feels comfortable, that's nice," Crystal's Spa owner Crystal Mullenix says. "A lot of time that's all you need when you're having a bad day, or work is just getting to you, or your boss is being a bit of a dork. Or your family is demanding just too much of you. It's nice to just come in and sit down and put your feet in the pedicure chair. We laugh all the time in here. We laugh in here constantly, all that kind of energy." A lot of that energy comes from Mullenix herself, as she talks a mile a minute about her business, which is also her passion. She thrives on people, taking great pleasure in getting to know her customers and giving them what they want. That's what prompted her to take the leap four years ago from being a hair stylist to opening her own spa. "I wanted to offer people more than just hair," she says. "I wanted to offer them something that when they were having a bad day they could get a great big hug from me by coming in and getting a facial. Getting a massage, getting a manicure, getting a pedicure, getting something more than just a haircut. Because a haircut is nice. It feels great to have your head massaged and shampooed, feels good to have it blow dried." Mullenix opened Crystal's Spa in Community Corners more that four years ago, and two years later moved the business into its current home in a two story green house on Triphammer Road, north of the Pyramid Mall. 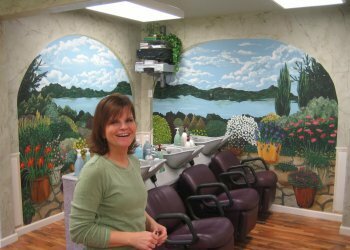 The reception area leads into a spacious hair salon with murals painted by a local artist. This leads to spa areas including a sun tanning booth, and upstairs rooms for facials, massage, and other services. It's all wrapped in a warm, friendly feeling salon, and soothing decor in spa rooms, accompanied by calming music. She takes pride in spaces largely constructed by her twin brother, who gutted portions of the house to make ideal spaces for the services she wanted to offer. 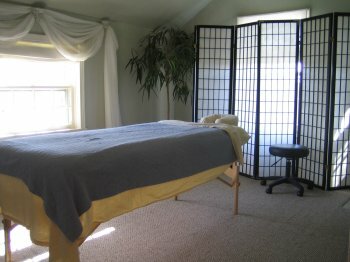 "Upstairs we do sugar scrubs, salt scrubs, mud wraps, massage, facials, steamer," she says. "We do everything by hand manipulation. We don't use machines. I think personal touch, hands on, the feel, the warmth of another person, that whole personal touch will really, really tune you to another human being." She offers couples massages, paraffin dips, mud wraps, sugar scrubs, waxing, hair extensions, acrylic nails, piercing ears, Japanese hair straightening,manicures, and pedicures. The upstairs rooms are flexible so they can be adapted for many of these services. She also offers spa services that range from 'The Opal' (A 30-minute massage, 30 minute facial, and a style) to the four hour 'Diamond Deluxe' (A 60-minute massage, 60-minute facial, French manicure, pedicure, and a style). Her Web site offers the entire menu and price list for downloading. Mullenix's employees include massage therapists, estheticians, cosmetologists, hair stylists, a spa manager, and a receptionist. "My staff does a lot of things and go to classes a lot," she says. "I ask it of them and they are eager to do it. They like to be educated, to be on top of their game. They really are great. 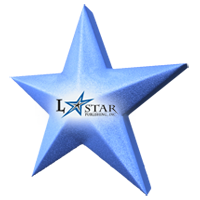 This place is extremely clean and they are great about it. They want a clean environment and because of the other stuff we do, the spa things, we don't want the hair to be carried to any other part of the salon." Like many entrepreneurs, Mullenix learned that there is a world of difference between doing what you love and running a business that does what you love. She works as a stylist 60 hours per week while taking care of the business and HR side of the operation, and learning marketing. At times it has been rough balancing her business and home lives. When she says that she will be a grandmother in July it is hard to believe. "I get weighed down sometimes with just how much responsibility I have," she says. "I mean I'm a parent, I run my entire family still, I keep track of where everybody's going and doing. That's just normal. And I still like hair." For all that Mullenix is energetic and passionate about her work, and determined to learn more as she goes along. "The quote of the day is 'Self-delusion is mandatory.' That's a quote!" she laughs. "I just want to be successful. I don't feel successful because I'm always struggling. And yes it's a great place, but I don't know how you measure success. I'm happy, so I guess it's successful." Ultimately her business is about people. "Our clients are fun, they have a lot of energy," she says. "I love it and that's why I've been doing it for 25 years. I love people."